b. June 3, 1818, in Edwardsville, Illinois; d. February 4, 1886, in Springfield, Illinois. 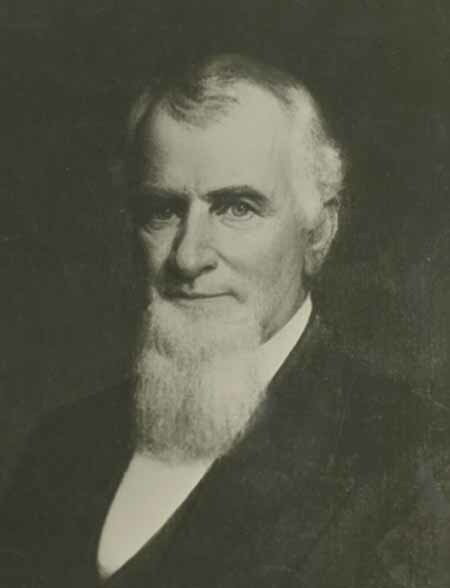 The son of Ninian Edwards, Illinois's first territorial governor, Edwards graduated from Yale in 1838 and studied law the following year with Stephen T. Logan. Edwards was admitted to the bar and began practicing law in March of 1840. Three years later, Edwards entered into a law partnership with John T. Stuart that lasted for more than forty years. Edwards was a member of the Whig party and served as a Sangamon County representative to the state constitutional convention in 1862. However, he was one of many Whigs who did not give their support to Abraham Lincoln's bid for the presidency. Instead, Edwards supported Stephen A. Douglas, whom he felt was better able to ensure the preservation of the Union. In 1869, Edwards became judge of the Thirtieth Judicial Circuit and held that position until 1870. David Herbert Donald, Lincoln's Herndon (New York: Alfred A. Knopf, 1948), 139-41; Illinois State Register (Springfield), 5 February 1886, 7; Usher F. Linder, Reminiscences of the Early Bench and Bar of Illinois (Chicago: Chicago Legal News Company, 1879), 350-52; John Palmer, ed., The Bench and Bar of Illinois: Historical and Reminiscent (Chicago: Lewis Publishing, 1899), 1:190. Illustration courtesy of the Abraham Lincoln Presidential Library, Springfield, IL.